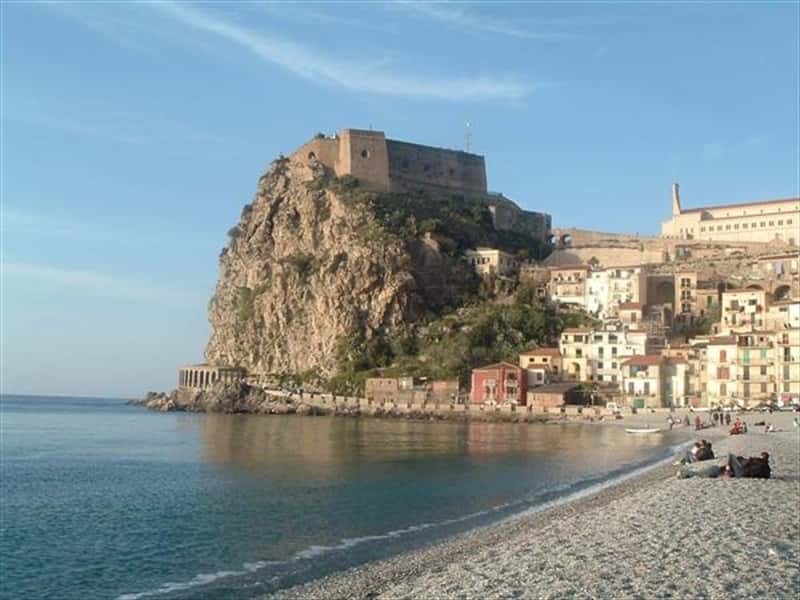 The foundation of the first settlement of Reggio Calabria was started in VII century b.C. by the inhabitants of Calcide, a city of the Island of Eubea. An intelligent government of its strategic location made the city become one of the capitals of Ancient Greece: the history of the city is involved in all the major events over the centuries on the Mediterranean Sea, but the earthquakes (like the ones in 1783 and 1908) have destroyed the important traces of its glorious past. The only remains are the ruins of the Pre-Roman walls that surrounded the city and a temple of V century, a Greek tomb and a Roman bath with superb mosaics. Walking along the seafront on the promenade, entitled to Gabriele D'Annunzio, "the most beautiful kilometer of Italy", between mansions in Liberty style and exotic plants, it is possible to reach the National Archeological Museum, one of the most important of the peninsula, famous for the two Bronze statues (Bronzi di Riace), found at Riace Marina in 1972. Another emblem of the city is the Aragon Castle, that has official traces since 1027, but was built on the ruins of a previous fortified construction of 536 and 549. A strategic point of defense, built in the area where the acropolis of the old Greek city (polis) was, over the ages it was conquered by the Goths, the Longobardi, the Arabs, the Normans, the Hohenstaufen or Suebi, the Anjous and the Aragons. Major refurbishments and enlargements were made on request of the kings Ferdinando e Giovanna I of Aragon. Today it hosts the Observatory of the National Institute of Geophysics. The Cathedral of Maria Santissima Assunta in Cielo was built in the Norman Ages, but submitted a lot of damage between '600 and '800. The actual building is a reconstruction of '900 to repair the structure from the effects of the earthquake of 1908. The project was assigned to Padre Carmelo Angelini. The architectural structure of the church features a mix of Romanesque, Gothic and modern elements. The façade is divided vertically in three parts by four octagonal shaped towers. The center is a large trifora (three arched window), surmounted by a large rose window, both framed with a decorated arch. The main entrance features a staircase with sculptures of Santi Paolo and Stefano from Nicea, artworks of '900 of Francesco Jerace. The interior features a main nave with two apse aisles divided between themselves by archways and columns. The smaller Basilica of Maria Santissima Madre della Consolazione, Saint to whom the city is devoted since the pestilence plague of 1577, is of recent construction and preserves inside a major masterpiece of the artist Andrea Capriolo which features an imagine of the Madonna that appears to a monk. Not to miss: Castle of Sant'Aniceto, old shelter of the local population in the Byzantine Ages; Villa Zerbi, in a Venetian style of XIV century, with typical colour decorative elements of the region, the theatre entitled to Francesco Cilea, the most famous local musician of all times, the Church of the Ottimati (X century) and the Statue of Angelo Tutelare, in Piazza San Giorgio near to the Church of '600, entitled to the same Saint and probably one of the artworks of Placido Bradamonte. This town web page has been visited 31,206 times.